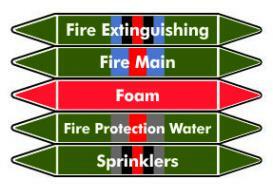 These Fire Pipe Markers comply with the latest BS1710 2014 standard for pipework containing water. 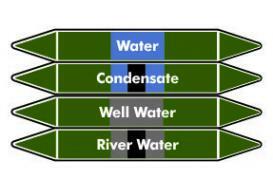 These Water Pipe Markers comply with the latest BS1710 2014 standard for pipework containing water. 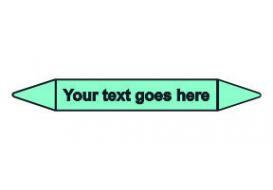 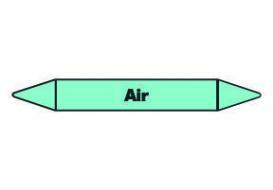 Create your own Pipe Marker by choosing from the three standard sizes, a choice colours and then adding your own text. Contact us on 01348 840675 if you require a non standard size or colour.